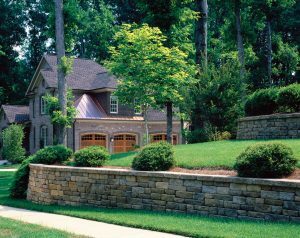 A thoughtfully designed irrigation system is the perfect antidote against premature lawn and landscape material degradation. After spending a lot of money on a beautiful outdoor expansion project featuring beautiful garden additions including lawn areas and perennial and evergreen species, there is a vested interest in nurturing and prolonging the health and vitality of the plantings. Irrigations systems today have come along way as they keep pace with smart technological advances and are designed to conserve water consumption supply water in different applications that are species and variety based rather than one application fits all. To learn more about the latest trends in irrigation design, contact the design professionals at IVY Studio, a landscape design and build consulting firm based in Massachusetts. Call us at 781-591-0300 or contact us at vern@ivystudioiMA.com to schedule a no obligation consultation to explore expanding your outdoor environment and learn firsthand the latest trends in smart irrigation technology.